Today we are releasing a major update for our PCMark for Android benchmarking app. 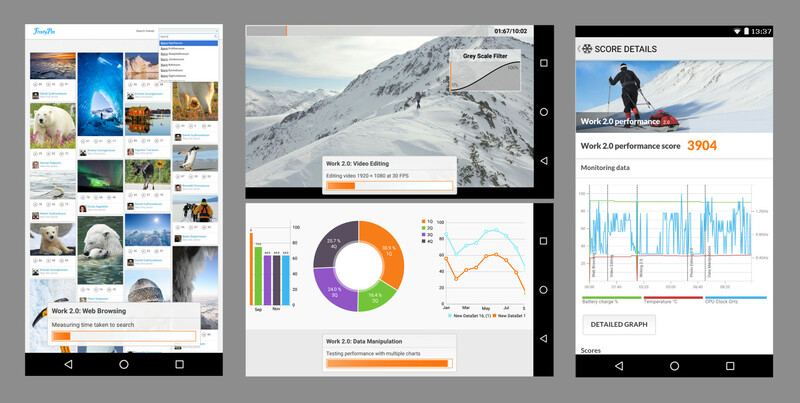 The update adds two new benchmark tests based on real-world activities and an exciting new way to compare the performance of devices across Android OS version updates. The best way to benchmark smartphones and tablets is to look at the performance of the device as a whole. PCMark for Android uses tests based on everyday activities. By using real applications and native APIs, scores from PCMark for Android better reflect real-world performance and battery life. Alex Voica, Senior Marketing Specialist at Imagination Technologies, says, "PCMark is actually a solid example of mobile benchmarking done right." See how your device handles common productivity tasks - browsing the web, editing videos, working with documents and data, and editing photos. Work 2.0 is an improved version of the older Work benchmark. It updates the Web Browsing, Writing, and Photo Editing tests and adds two all-new tests for Video Editing and Data Manipulation. You'll find more details in our earlier post and in the PCMark for Android technical guide. 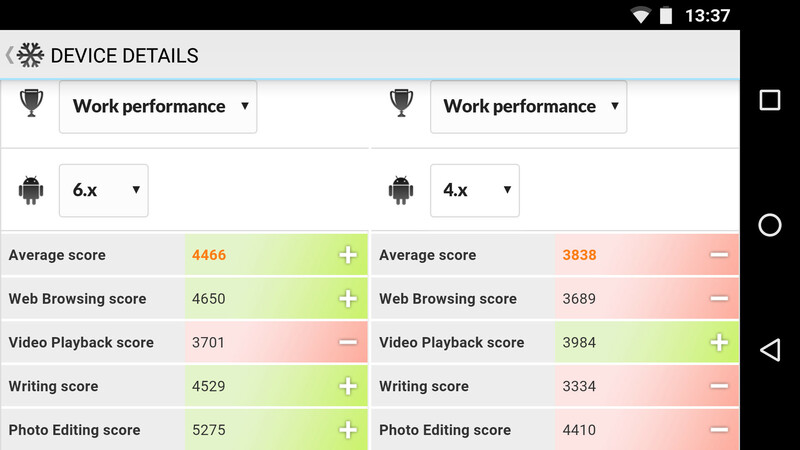 Use the Work 2.0 benchmark to test the performance and battery life of the latest Android devices. And while we now recommend using Work 2.0, the original Work test is still available in the app. Scores from Work 2.0 are not comparable with the older Work test. Computer Vision is an exciting field with opportunities for a range of innovative apps and services. The PCMark for Android Computer Vision benchmark measures device performance for a range of image recognition tasks using a number of popular open-source libraries. TensorFlow is an open-source machine learning library developed by Google. The test uses a pre-trained neural network to recognize different objects in a set of pictures. ZXing, commonly known as Zebra Crossing, is a multi-format barcode image processing library. The test uses ZXing to read a set of barcodes and QR codes. You'll find more information for each test in our previous post and in the PCMark for Android technical guide. With this update we are making it easier to see how major Android OS updates affect a device’s performance. The in-app Best Devices list is the ideal way to compare your device with the latest smartphones and tablets. The update adds the ability to filter the scores by major Android OS version number. For more details, read our post on comparing smartphone performance across Android OS versions. A benefit of using a benchmark based on real-world tasks is that you can see the areas where the OS update has the biggest impact. There could be big improvements in some types of activities due to new drivers, OS optimisations or changes to APIs. In other areas, performance might stay the same or even degrade slightly. Test performance and battery life with the Work 2.0 benchmark. Measure performance with the Computer Vision benchmark. Compare device performance across Android OS versions. PCMark for Android is a free benchmark app available from Google Play.